At DrivingMBA, we use some of the most advanced vehicle driving simulators available. This state-of-the-art technology helps ensure that you receive realistic and useful hands on training. In our simulators the focus is on interaction with traffic, traffic rules, learning to recognize and respond to traffic signs and signals in realistic, high-density traffic situations. These are precisely the skills that require the most time to learn during practice lessons on the road. Training in our simulators allows students to develop skills more efficiently and effectively compared to traditional in-car training. 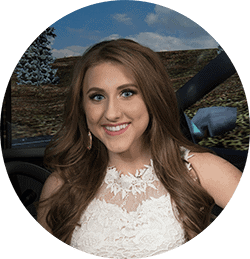 You can really tell the difference between a student that was taught by DrivingMBA's comprehensive instruction combination of simulation labs, classroom and on-road instruction.s, and a non-defensive driver. Our simulator lessons have been developed in a way that effectively teaches the required behaviors. During the lessons, the simple traffic situations are taught first, but as the lessons progress traffic situations become more complex. This results in faster recognition of situations and hazards and a development of the correct response. On the roads, typically a multitude of different things require attention resulting in overload for a beginner student. They have to attend to, and do, a number of things simultaneously which does not allow them to master the skill. Because of that, traditional on-road training is not as effective compared to training in a simulator. In the simulator skills are developed in a way that avoids information overload. During a typical on-road lesson, teachable moments occur more or less randomly. In the simulator lessons however, a lot of situations with high learning value are encountered. Our trainer can playback a scenario and use it to “teach” a correct response to a situation. It is immediate feedback to a student and helps them develop critical decision making and judgement skills. Our trainer will coach the student how to better handle the situation and do the exercise again. This fast and systematic feedback increases the speed at which the student develops the necessary skills. In a simulator the student trains in a safe environment with no stress. There can be significant consequences when making a mistake in a vehicle. In a simulator you learn from your mistakes with no consequences. This results in better learning: people learn when they are relaxed and feel safe.